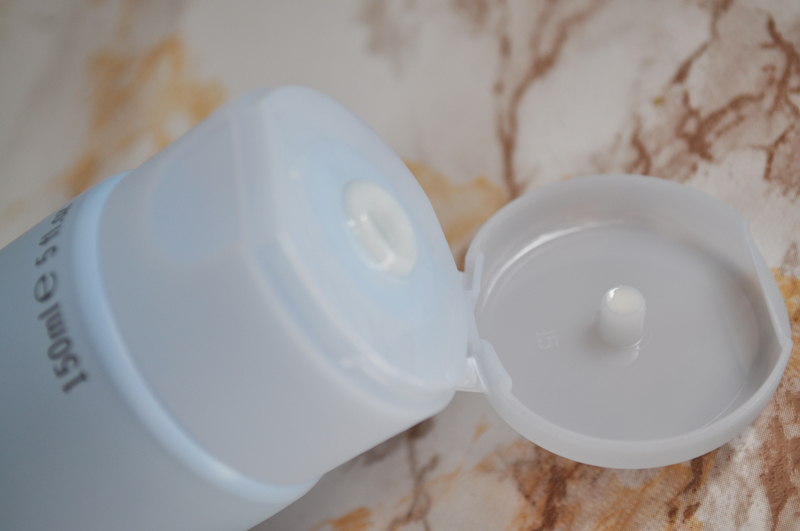 Before starting my blog I never used to moisturise that much, now I can't get enough of it. I have a whole box full of ones I love and I'm always trying new ones. 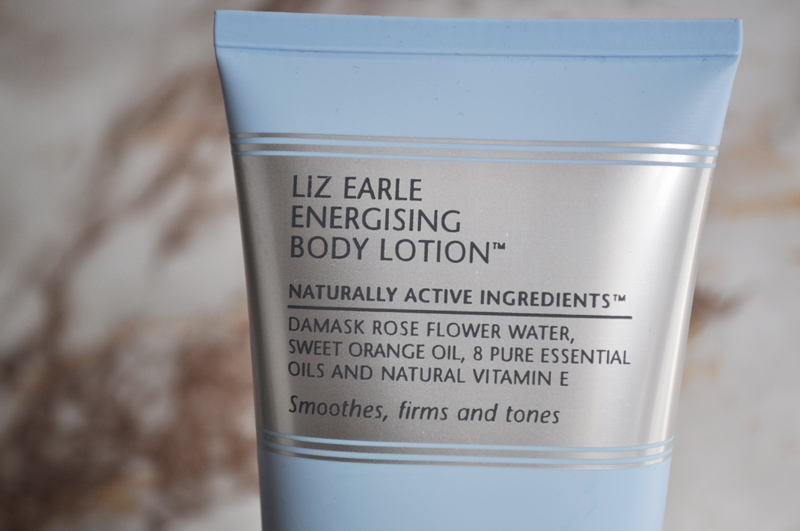 The most recent one I've tried is Liz Earle's Energising Body Lotion*. The energising lotion is lightweight so sinks in immediately leaving behind a scent that lasts a really long time on the skin. It's a very uplifting scent of rosemary, patchouli and orange. As it's lightweight it's going to sink into the skin immediately. Just wait 5 minutes and then your fine to put your clothes or pj's on. This doesn't mean it isn't moisturising though, it leaves your skin feeling really soft. Not only is this a great moisturiser, the naturally active ingredients help to improve the skins appearance, elasticity and tone. Because of this I mainly use this on the tops of my arms and thighs which are the areas that need it the most. 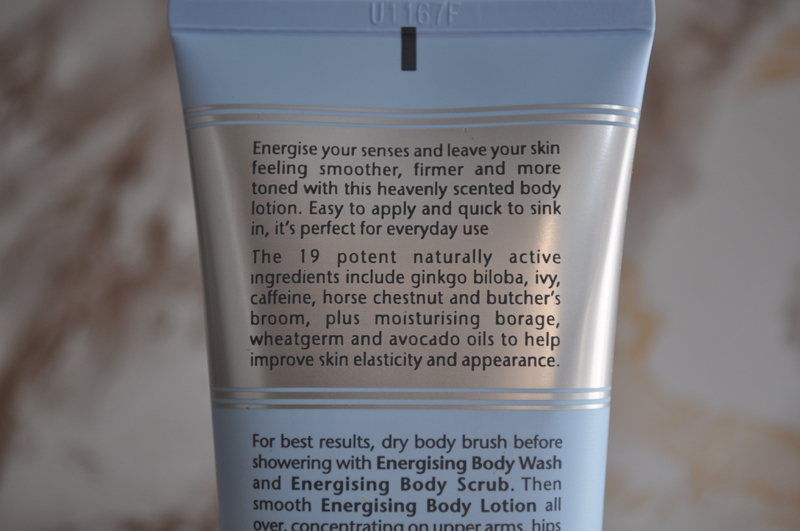 The naturally active ingredients include avocado, borage oil, butcher's broom extract, eucalyptus, ginkgo, grapefruit, horse chestnut, ivy, patchouli, peppermint, petitgrain and many others. 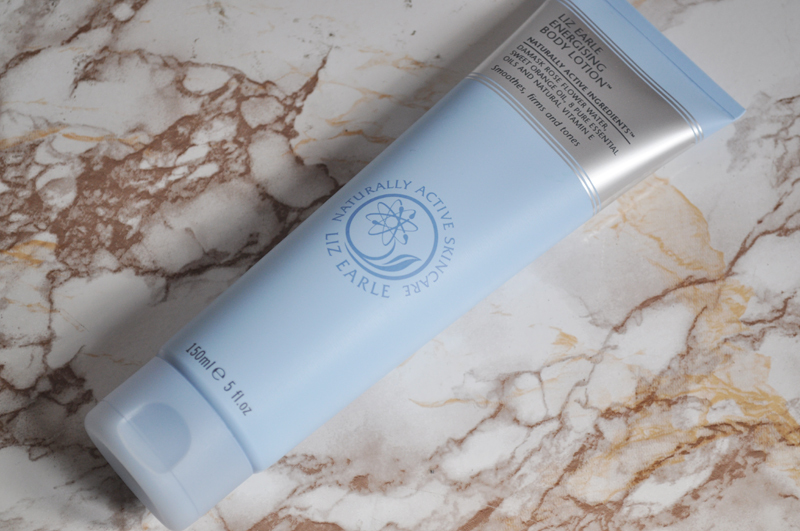 As with the majority of Liz Earle products this body lotion comes in different sizes. You can give it a try for £5 for 30ml or £17.50 for 150ml. The mini tubes are perect travel sizes.